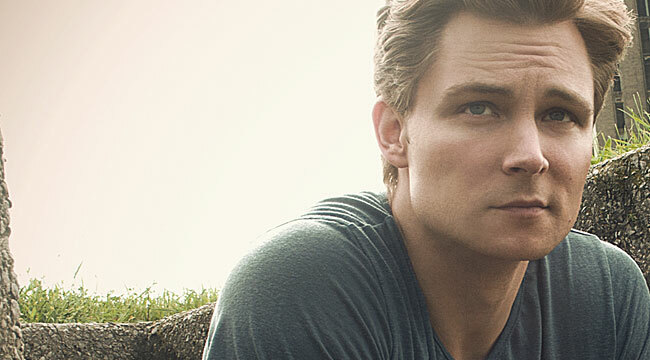 Country singer-songwriter Frankie Ballard has just embarked on his first headlining run, dubbed the Light ’Em Up Tour. Expect to hear hits like the anthem “Helluva Life” and his latest single “Sunshine & Whiskey,” the title track from his new album. Supporting Ballard is Republic Nashville’s newly signed band A Thousand Horses. Ballard, who’ll hit the road again in January with Florida Georgia Line, called from his home in Nashville where he said his yard was “in dire need of some attention” since he’s been gone for such a long time. You’re from Battle Creek, Michigan. Talk about your upbringing. I sure am. It was really cool to grow up there. It was a small town. It’s a real town. It’s where Kellogg’s is. Believe it or not, downtown smelled like cornflakes. It was a cool place to grow up. I’ve eaten so many Pop-Tarts, I can barely look at one now. It’s a blue collar town and my parents worked really hard. I had a regular childhood. I played baseball and listened to country music. What made you want to pick up the guitar? My dad, actually. He and a neighbor buddy of his used to get together and jam. Looking back on it as an adult, it seems weird. There was no reason for them to get together. My dad was a good singer. They would sing old country songs. My dad had a guitar but he didn’t really play. As I got older, I strummed along. It became me and my dad playing and we’d be the Thanksgiving entertainment. It just started organically like that, playing old songs like Elvis and having fun. What was it like to participate in Kenny Chesney’s “Next Big Star” competition? At the time, I had a band together and was playing a lot of clubs and bars and honky tonks locally. I was trying to make a little money. I was doing it for a living, which was cool. This battle of the bands came into town. I did it and I won. I got to open a couple of shows for him in Michigan. That was a game changer. It gave me the confidence to try it at the next level. I thought I needed to go to Nashville and see what was going on. I always look back on it as a turning point where I got that confidence to make it in the big leagues. Talk about making your self-titled debut. What was it like to go into the studio for the first time? You know, it was really cool. I didn’t have a lot of experience. It was a real joy. I discovered a whole different side of me. To me, making music was playing it live. To sit down and be creative and try different things was incredible. I just fell in love. Now, it’s like a sickness. I can’t get enough studio time. What did you try to do differently on your second album, Sunshine & Whiskey? This record was all about making music the way I want to make it. As a new artist, you get a little bit rushed. There are budgets and you want to get stuff down. I felt like I was getting a chance to be me. I wanted to take my time and play guitar. I found a producer, Marshall Altman, who allowed me to take my time on this record. We experimented for months with guitar tones and tried out different microphones. I think that’s what made the difference. It sounds like me. It sounds different. It sounds original. It sounds like we spent a lot of time on it and we did. You didn’t write all of the songs but it sounds like you identify with all of them. Talk about the process of choosing what you wanted to record. The best song wins. I think sometimes songwriters get in the way of themselves. The pride of “this is my song.” I take an objective look at songs. For me, no matter who wrote them, they have to be the best material. That’s what the country music fans deserve. So that’s what I did. Some of mine got on there and some didn’t. They were messages that meant something. The lyrics mattered and they are things that are true to my life. The first song, “Helluva Life,” isn’t one that I wrote. But man, is it ever true for my life. It meant something to me. “Helluva Life” has become a huge hit. Why do you think it resonates with listeners? It’s the journey we’re all on, man, no matter what you’re trying to achieve in life. There’s a line that the bad times make the good times better. It’s a message of hope. If you don’t get to that pot of gold that’s in your mind, maybe that’s not what it’s about. Maybe it’s about those relationships and what we’re living. People have sunk their teeth into that message, myself included. Is that really you riding that Triumph in the music video? Yeah, it is. That’s my bike. Songs such as “Tell Me You Get Lonely” and “Sober Me Up” suggest you have a sensitive side. Is that the case? Well, you know, nobody is safe from the trappings of love. Whenever you put your heart on the line, you set yourself up for a lot of joy or a lot of pain. Everybody has gone through that, some people more than others. It’s things that I’ve experienced in my life. “Sober Me Up” in particular is a cool message. Being drunk and out of control is a metaphor for life. It’s like how you can run down a hill too fast and pretty soon you can’t maintain. You just need that love. You need that good woman to ground you and keep your feet down. Just cool stuff like that. I don’t steer away from any subjects. If it matters to me, then everything is game. “It Don’t Take Much” reflects how screwed up life can be. Talk about what you like about that tune. It’s a tune I wrote about those little things in life . . . how sometimes our day-to-day decisions come and go. I was thinking about my career and the things I did or didn’t do. Maybe I’ll move to Nashville or maybe I won’t. At the time, they didn’t seem like big decisions, but they ended up changing the course of my life. That’s not unique to the music business. It’s like that for everybody. Little decisions can change the path and ten years down the road can be an incredible departure. It’s just about an awareness of that fact. You’re on your first headlining tour. Talk about how exciting that is. It’s incredible. I’ve opened so many shows and been on tours before where it’s not your show. I’ve been honored and blessed to do it. This one is different. I get to play a whole set of music. When I was opening, it was 35 to 40 minutes. I’m excited about that but at the same time, it’s a lot of pressure. You’re the one who has to sell the tickets. We’re playing lots of House of Blues and lots of theaters. They’re really rich venues and it will be fun. We’re going into December. It will be rocking. I’m excited and nervous at the same time. We’re going to give it everything we got. I’ve been looking forward to it for so long. We’re going to leave every drop of sweat out on that stage.